Good morning! Temperatures continue to stay mild today. Keep the umbrella handy throughout the morning hours. A frontal system is sitting just north of the ArkLaTex, trapping moisture in our area and could prompt a few showers. 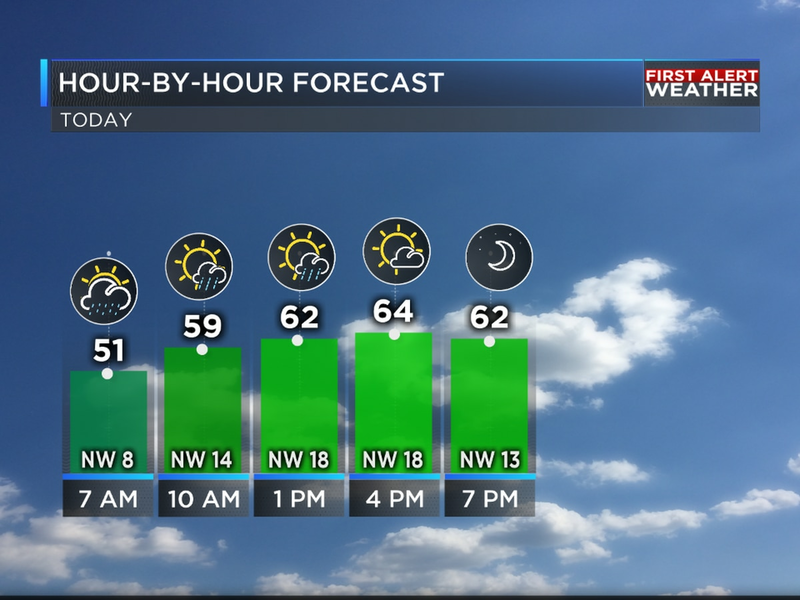 Clouds will decrease throughout the day, highs later this afternoon in the upper 60s.